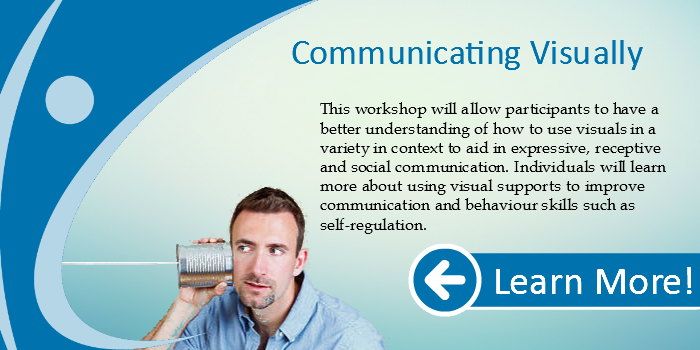 This workshop explains sensory principles which underlie the concepts of self regulation/self control. Misunderstood or unrecognized sensory differences often contribute to challenging behaviours; up to 80% of students with ASD have sensory processing challenges. 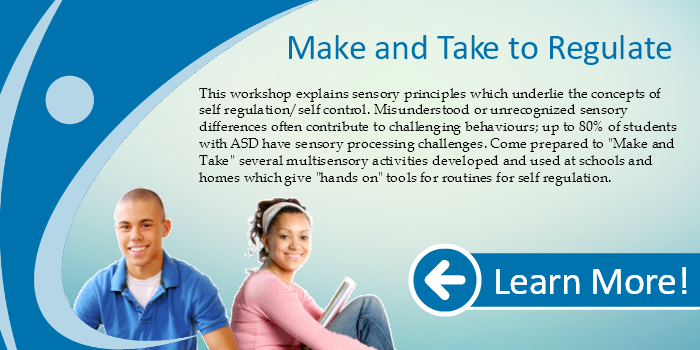 Come prepared to “Make and Take” several multisensory activities developed and used at schools and homes which give “hands on” tools for routines for self regulation.